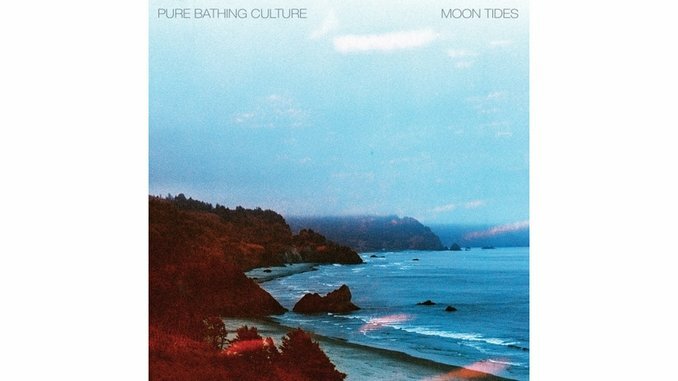 On Moon Tides, Pure Bathing Culture takes its listeners on a canoe ride beneath a blanket of stars and painkillers. It’s a fine collection of easy, pillowy soft songs but lacks that necessary adhesive to make them stick. Not that there isn’t value in the fleeting, bliss-out time that happens while the record spins in motion, because there is. “Only Lonely Lovers” glints with faint disco bells, twisted into pirouetting guitar. “Seven 2 One” and single “Pendulum” cruise at a comfortable, zoney speed, highlighting singer Sarah Versprille’s sweet croon. However, as a whole body, it’s a bit of a yawn. Let’s hear something a bit more challenging—more glittery guitar, more vocal harmonies, more Vicodin, more oomph. Perhaps with a little more time together as a band and touring, they’ll truly carve their sound into something worth 30 more spins. I have faith and can’t wait to hear this group’s progression.